Do you know the probability of rolling a Yahtzee in one throw? Our seventh graders do, and they were not allowed to simply search online for the answer. We are studying probability and chance events, and this was a challenge problem they eagerly embraced. This came after analyzing more simple dice games, spinner games, and coin toss scenarios. They also investigated the difference between theoretical probability and experimental data. Given how often these students won the chance games they played, compared to their predicted probabilities, they sure are “lucky” kids! 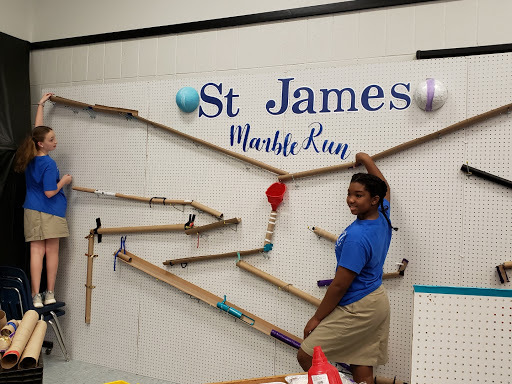 Seventh grade has been engaged in its Renaissance Academy Awards project for the last 3 weeks, and the awards day is finally here! 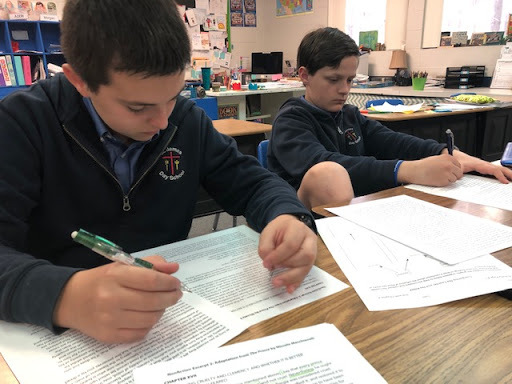 Each student was tasked with researching two individuals in a category, creating a biographical outline of each individual, and then evaluating their research to determine a winner. Each student designed and constructed an award representing the winner and presented it, together with a slideshow of the nominees. What a terrific job the students did in presenting their nominees and explaining their reasons for choosing the winners. 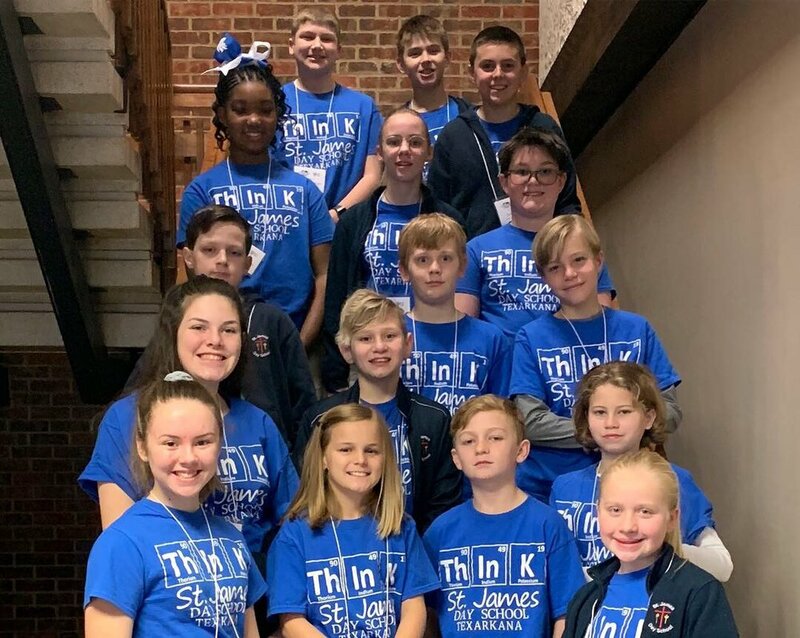 Again, this project involved a myriad of skills, from analysis to creativity to public speaking, underscoring the value of project-based learning. Our current class novel is the young adult classic, The Outsiders. This story about teenagers struggling with their social identities in 1960s Oklahoma is perfect for a study of theme and characterization. The students discussed the role that social class plays in the characters’ lives, how it defines their identities, and how it gives them perspective. This week, students are creating trading cards that feature the main characters and their personality traits. We will make connections between characters’ personality traits and their motives (and actions) in the plot. As we read further, we will also question whether characters can change their perceptions of themselves and others. The seventh grade class has been studying the Renaissance for the last 4 weeks. 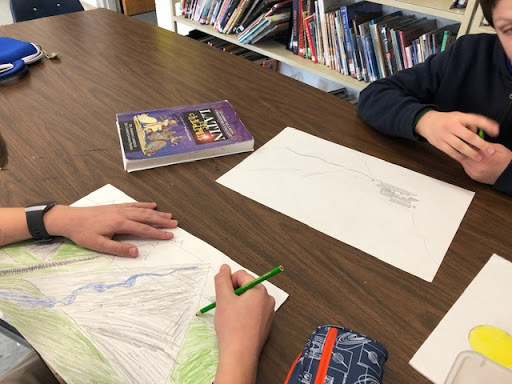 Not only have the students learned about how and why the Renaissance began in Italy, but they have also studied the most notable artistic figures of this period-- Michelangelo, Leonardo Da Vinci, Raphael, and Titian. This week, our focus is on the Italian writers Castiglione and Machiavelli, and their influence on the Renaissance. After reading about these writers’ work, the boys had the opportunity to read excerpts from adaptations of their works, and to compare and contrast the two writers. Both writers were advisers in the courts of Italian dukes, but they took different approaches to life. In The Courtier, Castiglione advises the newly rich to be courteous at all times and display good manners, whereas Machiavelli, in The Prince, advises rulers that is often better to be feared than loved. We just did not read the texts; we broke them down and annotated each one to gain the fullest understanding. The Prince excerpt even contained some Latin, which we discussed. What an unique opportunity for 7th graders to sit and read 500 year old political doctrine that is still influential today, and to recognize that Machiavellian principles are still followed by some powerful leaders. This is one of the values of teaching history-- to see how it is repeated-- and one of the values of teaching at St. James-- we can devote the time to analyzing these historical pieces in depth. 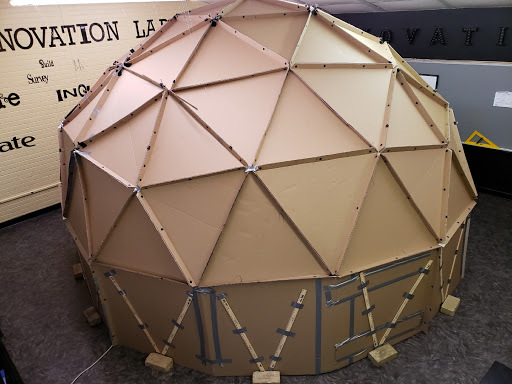 Last week, as a final project for The Giver novel study, seventh graders designed and presented their own utopias to parents and the 6th grade class. Each student was tasked with developing an ideal community that included all the essential components of any modern society-- government, education, family, jobs, transportation, environment, and technology, et al. They also had to create a map and flag representing their community. What excellent work was produced by all students! Serious thought went into the designs-- we had a water-based community built on a lake, a biome-dominated world, and a community built on a terraformed Jupiter. I loved the creativity each student displayed; the end product reflected their own interests. This is part of the St. James education-- we can truly focus on individualized learning! 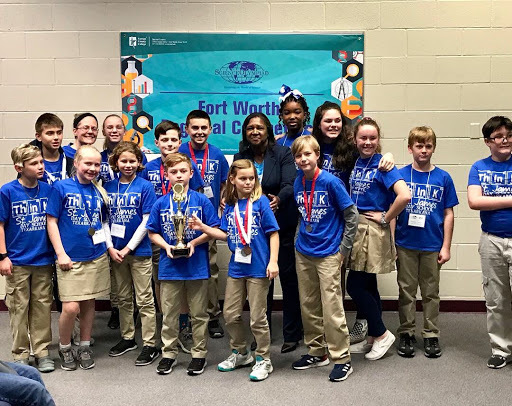 ﻿The Spartan Science Olympiad team traveled to Ft. Worth to compete in one of the ten Texas Science Olympiad Regional tournaments. There are over 100 teams in Texas competing at these Regional tournaments for 30 spots at the State tournament. Our team placed 2nd overall at our Regional, so we are eagerly awaiting a notification to see if we advanced to the State level...This would be an incredible feat for a first-year team! It’s difficult for our kids to imagine what it was like before the lunar landing, to imagine a time when going to the moon was one of the greatest challenges set before our nation. We spent some time reflecting on the greatness of landing on the moon by looking both to the past, as well as to the future. What future? What is our “next giant leap”? Mars! The middle school took our learning out of this world by diving in to a multi-grade investigation of the solar system. Fifth grade stayed somewhat close to home with their research of the Sun, Earth, and Moon. Sixth grade traveled far and wide as they studied the other planets and moons of our solar system, including the dwarf planets (can we please bring Pluto back?). Seventh grade took a deep look into what it would take for humans to live on Mars. Each student and grade shared their findings with one another in whatever manner they found most effective and engaging. We had great fun learning, as the students became the teachers. In History, the 7th graders have been studying Mesoamerica. After trying spiced hot chocolate in our Aztec study last week, this week students demonstrated their knowledge of geography through landscapes of the Inca empire. Each student was given a large piece of paper and asked to review their notes and represent the effects of geography on Inca culture. Their work turned out beautifully and each shows how the Andes Mountains was a central part of Inca life.